Beijing: China is evaluating the potential impact from a US proposal to increase control over technology exports, and will take the necessary steps to uphold Chinese firms’ legitimate interests, a spokesman at the commerce ministry said on Thursday. Earlier in the week, the US government proposed stepping up scrutiny over technology exports in 14 key high-tech areas including artificial intelligence and microprocessor technology, a move that many analysts view as directly targeting China. A 30-day public consultation period on the proposal to include those sectors in its broader export control regime is underway and will end on December 19, according to a document published on the US government’s Federal Register. The findings were issued in an update of the US Trade Representative’s ‘Section 301’ investigation into China’s intellectual property and technology transfer policies, which sparked US tariffs on $50 billion (Dh183 billion) worth of Chinese goods that later ballooned to $250 billion. China is deeply concerned about the new Section 301 report update, Gao Feng, the commerce ministry’s spokesman, said. China will not accept “groundless” accusations, Gao said. 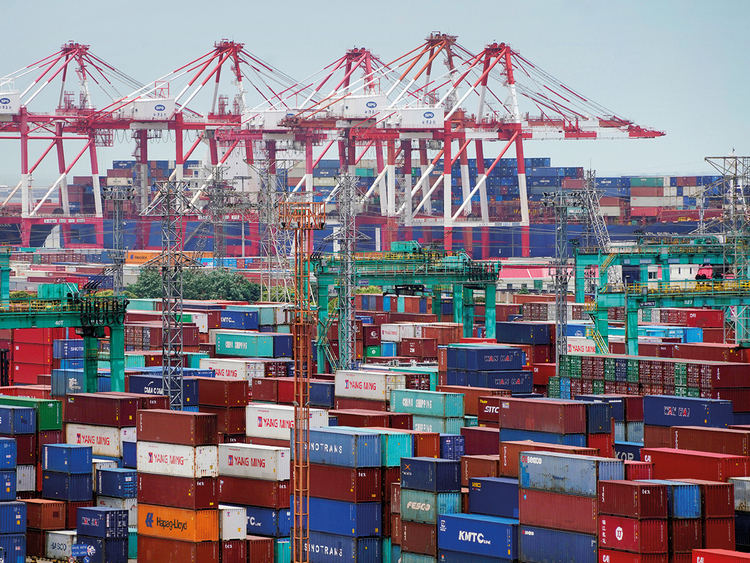 In widening trade war this year, US President Donald Trump has imposed tariffs on $250 billion of Chinese imports to force concessions on a list of demands that would change the two countries’ terms of trade. China has responded with import tariffs on US goods. Washington wants Beijing to improve market access and intellectual property protections for US companies, cut industrial subsidies and reduce a $375 billion trade gap. On Tuesday, the Trump administration said China had failed to alter its “unfair” practices at the heart of the US-China trade conflict, adding to tensions ahead of a high-stakes meeting later this month between Trump and Chinese President Xi Jinping.